Business hand clicking online learning button on blurred backgro. 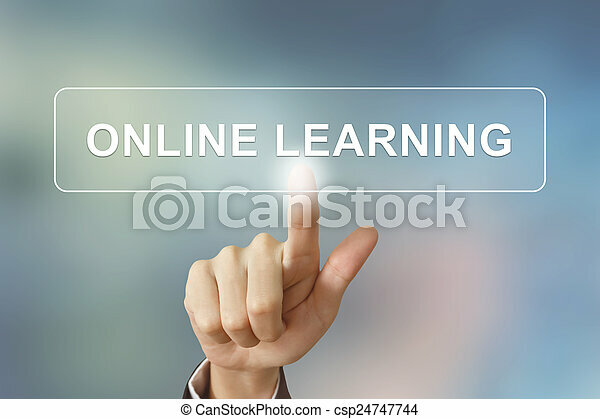 Business hand pushing online learning button on blurred background. 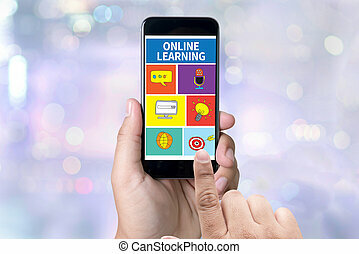 Online Learning - hand pressing button on interface with blue background. Hand clicking Connect button drawn with white chalk on blackboard. Hand clicking Share button drawn with white chalk on blackboard. Hand clicking Coupons button drawn with white chalk on blackboard.